Ciao lovelies! Today's post is a Month In Review post! We are reviewing my fave looks from this month! February was surprisingly good for fashion! Sometimes I don't feel up to dressing up, but I made a conscious effort to look nicer this month. So here are my fave looks from February! 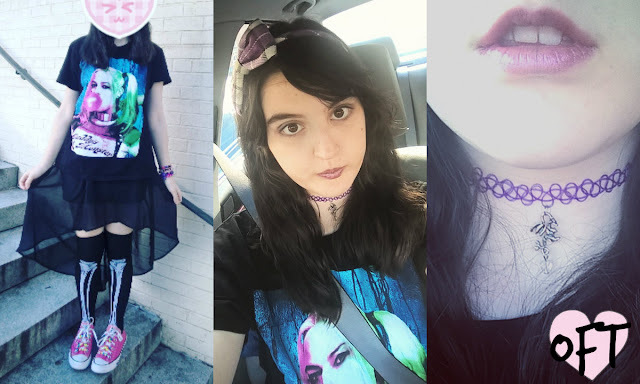 This first look was a casual, neon-gothy look! I liked matching my Harley Quinn shirt to my shoes! What I would change about this outfit- Maybe a different headband or hairstyle? I wore heels as well from DSW shoes. What I liked about this outfit- The aesthetic was just so cute! I loved it! What I would change about this outfit- I would try to style my hair somehow? and wear lipstick. One of my Valentine's day looks! 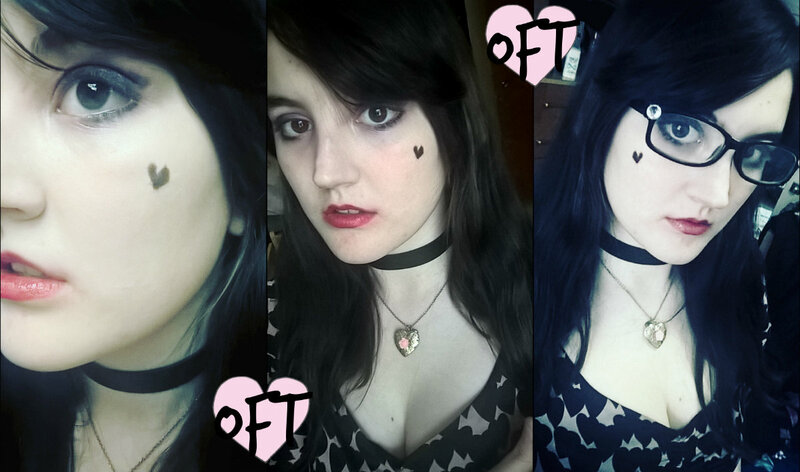 Makeup was inspired by Marina and the Diamonds and Draculaura from Monster High! What I liked about this outfit- The makeup is my fave! What I would change about this outfit- Why do I never style my hair? I would style my hair. This look was a casual one! 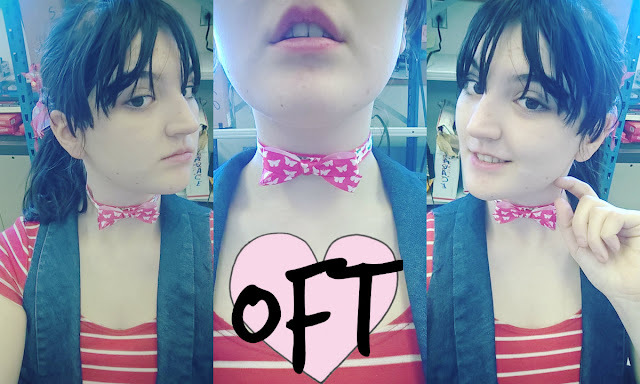 Choker- A free gift from Forever Kyllen designs! Her chokers are AMAZING! They are cute, comfy, and well made! No makeup in this look! What I like about this look- The Forever Kyllen choker is my fave accessory at the moment! What I would change about this look- Maybe try to coordinate the choker better with a pink dress/shirt? 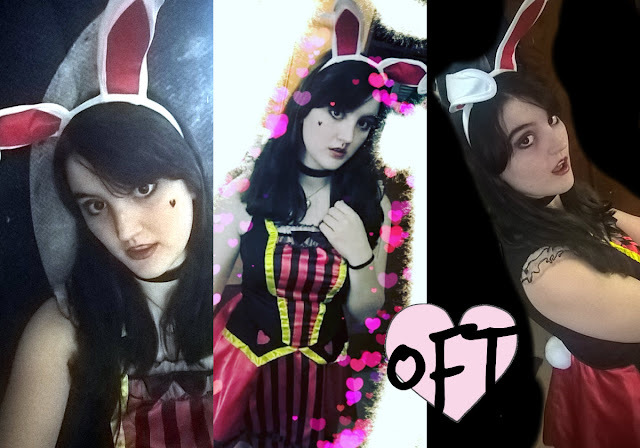 The last look is a costume from Valentine's Day that I took some funny photos in! It's a white rabbit Halloween costume, lol! I am thinking of customizing the ears soon. Necklace- A gift from my dear twin sister Kyllen! What I like about this look- I love costumes! As a cosplayer, I like wearing different types of costumes. Plus the idea of reusing a Halloween costume for Valentine's was fun! What I would change about this look- Maybe hairstyling? 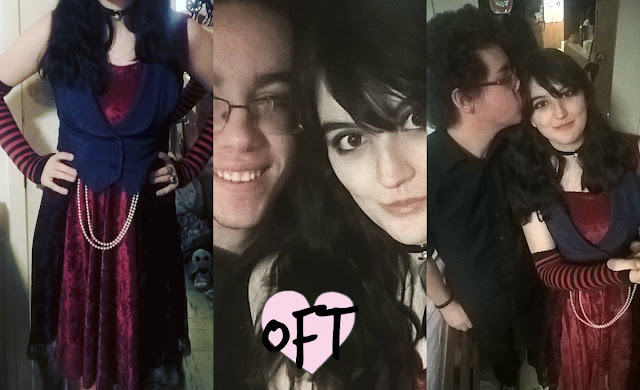 That's all for fave looks for February! What was your fave look? Let me know! See you in tomorrow's MIR post!